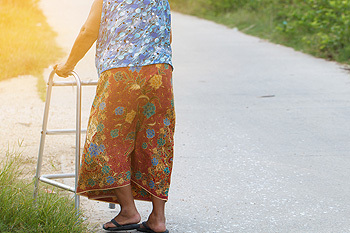 If you have fallen and have severe pain in your ankle, it may be broken. A noticeable symptom of this condition is extreme discomfort and an obvious deformity in the ankle and surrounding area. Walking will be unbearable as a result of the intense pain and swelling, and bruising may occur as the injury causes the blood to leak from the vessels. Many patients who have endured a broken ankle may be familiar with the painful feeling of crepitus, which is the name given to pieces of bone grinding together as a result of the broken ankle. After a proper diagnosis is performed, which will typically include having an X-ray taken. Once confirmation of a broken ankle is achieved, treatment can begin. 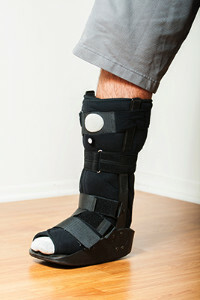 This may include putting the ankle into a splint, cast, or walking boot. If you or someone you know has a broken ankle, it is suggested to speak with a podiatrist who can properly guide you to the best form of treatment. Broken ankles need immediate treatment. If you are seeking treatment, contact Dr. Dean D. Hinners from Illinois. Our doctor can provide the care you need to keep you pain-free and on your feet. 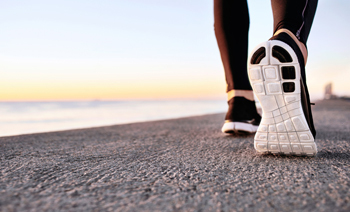 Getting the right shoe size is an important part of proper foot health. Seek the assistance of Dr. Dean D. Hinners from Illinois. Our doctor will provide the care you need to keep you pain-free and on your feet. Gout is a painful condition that can be treated. If you are seeking treatment, contact Dr. Dean D. Hinners from Illinois. Our doctor will treat your foot and ankle needs. 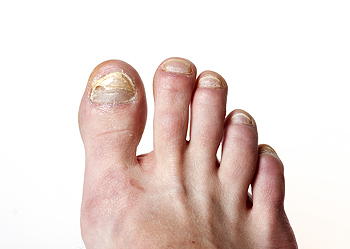 If left untreated, toenail fungus may spread to other toenails, skin, or even fingernails. If you suspect you have toenail fungus it is important to seek treatment right away. For more information about treatment, contact Dr. Dean D. Hinners of Illinois. Our doctor can provide the care you need to keep you pain-free and on your feet. Because RA affects more than just your joints, including the joints in your feet and ankles, it is important to seek early diagnosis from your podiatrist if you feel like the pain in your feet might be caused by RA. For more information, contact Dr. Dean D. Hinners of Illinois. Our doctor will assist you with all of your podiatric concerns.